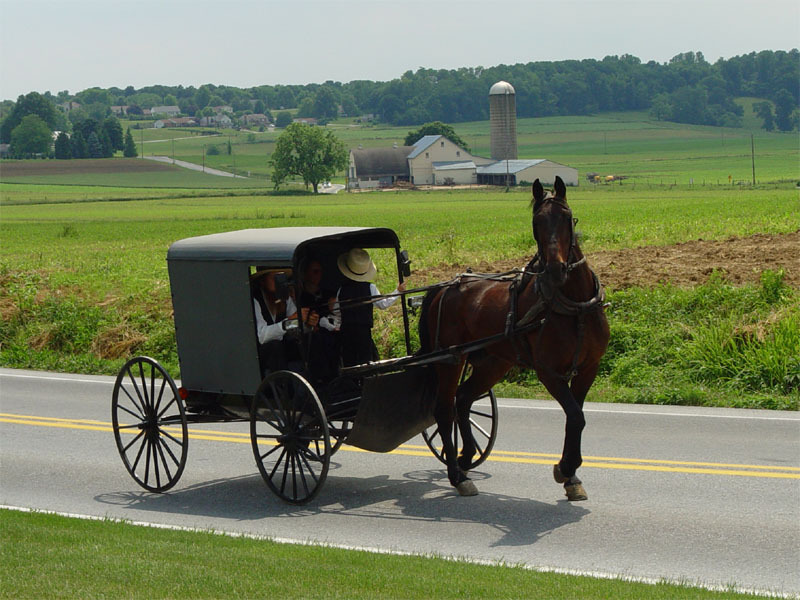 Author SrikanthPosted on 21/01/2017 21/01/2017 Categories General, InternationalTags Amish, International, Mumbai, Victoria2 Comments on The Amish Buggy is High-Tech, Why Can’t Our Victoria’s Be The Same? Walking, the most fundamental way to travel, is a joy to many, while a lot of people crib and whine about it. Walking brings joy to a lot of people. It’s the surest way to remain reasonably healthy, and also gets the job done: You reach your destination, albeit a little slower. Walking is a lot like cycling, except it doesn’t require specialised equipment, namely a cycle, and is more compatible with rugged terrain than a cycle. In short, walking up and down a staircase or a craggy hill is easier than attempting the same with a cycle. However, both face the same issues with motorists treating them with contempt. In an earlier post on Andhra Pradesh’s upcoming capital city of Amaravati, I had given a few suggestions on making cities cycle and pedestrian friendly. Now, let us leave that to the Planners and Experts. Our focus here is on walking. Simple. To get somewhere. I walk to the provision store, I walk to the bus stop, I walk everywhere. In some places, like several IT campuses across the country, driving is restricted to certain designated zones, and thus, you would be required to walk or cycle in the other areas. If you cannot cycle, your only option is to walk. Walking is crucial, not only for those using public transport, but also for cyclists and motorists. You need to walk to the parking lot. You need to walk where the cycle cannot be used. Walking in crowded areas is a pain, and this is where I realise that Mumbai is probably the best city [pun intended, of course] for walks. Why? The Mumbai Skywalk Project. The Nana Chowk Skywalk at Grant Road. Image copyright Srikanth Ramakrishnan, CC-BY-SA International. Starting with the 1.3km long skywalk connecting Bandra Railway Station [East] to Kalanagar junction in 2009, the city of Mumbai has numerous skywalks connecting various railway stations to localities in the vicinity, bypassing the crowd, bus stops, vendors, and all below. The skywalk in Andheri East connects Andheri Railway Station, Andheri Metro Station, Agarkar Chowk Bus Station, as well as the bus stop atop the Gopal Krishna Gokhale Bridge, while the Bandra skywalk connects Bandra Station, Bandra Bus Station, Bandra Court, the Western Express Highway as well as Swami Vivekananda Road. The Nana Chowk Skywalk, connecting Nana Chowk to Grant Road is a spectacular structure. Built at a cost of ₹43crore, the structure is a oval-shaped, cable-stayed one. It is illuminated with Pink LED lights at night, thus making it an interesting sight to see. Now, while many people might consider it a waste of money, I’d like to see things a little differently. We normally hear of crores of money being spent on building roads for vehicles, but seldom do we hear about money being spent on making the lives of pedestrians easier. Right? Governments need to realise the importance of pedestrian infrastructure. A four laned road just won’t do. A four lane road with provisions for pedestrians and cyclists at the periphery is the need of the hour. Walking, is at the end of the day, the best way to exercise. Of course, I have been told that kissing burns more calories, but who cares? I can walk alone. That’s all that matters to me. I am taking my Alexa rank to the next level with Blogchatter. Current rank: 582509 globally and 44363 in India. Victoria Carriages, while not exactly a form of transport, are seen on the roads of Bombay, especially in and around Colaba, where they are used as tourist vehicles. Usually Silver or Golden in colour, they are mostly seen in and around the Gateway of India, ferrying foreigners around the area. Some of them are lit up, with psychedelic or neon lights, that are turned on in the late evening. They are horse drawn, mostly by white-coloured or brown-coloured horses. A Golden Victoria pulled by a Brown and White horse on BEST Marg in Colaba. Image copyright Srikanth Ramakrishnan, CC-BY-SA 4.0 International, available on the Wikimedia Commons. Victorias, sometimes incorrectly referred to as Tangas or Tongas, have existed in Mumbai since the times of the British. They have been an integral part of the city’s culture, much like the Double Decker buses that BEST operates, and today exist, solely as a reminder that they once were a premium product. In 2015, the situation changed completely. A division bench of the Bombay High Court, after hearing a petition by a city-based NGO “Animals and Birds Charitable Trust” along with the globally vocal “People For the Ethnic Treatment of Animals [PETA]”, deemed the use of these Horse-Driven Victorias for joyrides as completely illegal. It gave the State Government a year to phase them out of the city and also directed them to find suitable rehabilitation for these horses. The ruling also mandated the closure of stables within the city where these horses were housed. Maintaining that using horse-driven carriages for joyrides solely for human enjoyment was avoidable and punishable under Section 3 and 11 of Prevention of Cruelty to Animals Act, the bench directed the Government of Maharashtra to come up with a solution by December 2015 and submit a compliance report by January 2016. The reaction to the ban has been mixed. Half of the reactions are averse. People claim that the ban will affect livelihoods as well as horses. Interestingly, these include a lot of the people who were vocally against the decision of the government to ban Cow-Slaughter, but at the same time protested the killing of Dogs at the Yulin Festival. The other half of the crowd is happy that the horses can now lead a dignified life rather than be forced to pull around carts around the city. The perception is that if Cycle-Rickshaws can be banned for being a Nuisance, so can Horse-pulled carriages. Granted, one more part of the city’s rich heritage is also going, but perhaps there can be a workaround. If you’ve ever been to Bangalore, you’d see in parts of the city that there exist Victoria-like carriages built on top of a car, complete with an array of Horses fixed to the front. They are commonly seen at weddings and other social functions. A bit tacky if you ask me, especially for the poshness of South Bombay. Horseless tangas and carts do exist in Gujarat. A visit to the Somnath temple would show how the innovative locals replaced the horse with a motorcycle. Not as tacky as a horse, but hey, it’s closer to the solution, and with some sprucing up, might be able to keep up with South Bombay. All said and done, I am for the ban, solely on the grounds that horses should not be used for pulling around heavy carriages and fat humans on them. Yes, I call them fat, because well, the average human is fat. But, as visible from the above two points, I’m all for innovation of something new to keep the Victorias running, albeit without the horse. 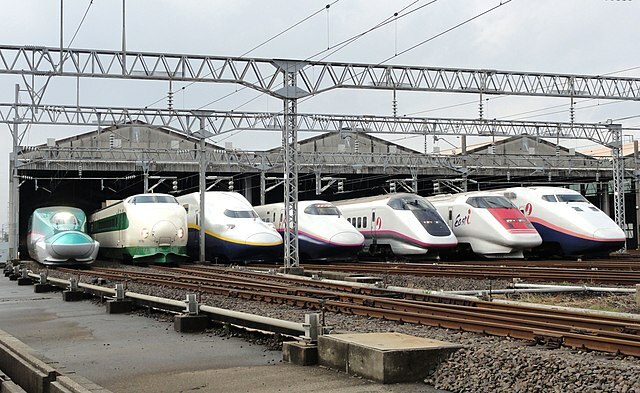 Maybe the Japanese can help us with a Robotic Horse, seeing that they are experts at building Robotic Animals and are helping us build our Bullet Train. A Victoria carriage, all lit up at night. Image copyright Karan Dudeja (WiKD), CC-BY-SA 3.0 Unported, available on the Wikimedia Commons. The future of these Victorias, while indeed bleak for the immediate part, can be a bright one, provided the manufacturers and operators are willing to come together and invest some time, and thought and come up with an innovative solution, and not sit down as if it is a lost cause. There is hope. When BEST has not phased out its Double Deckers because of the Heritage value that they posses, then Victorias too, can stay. The Prevention of Cruelty to Animals Act, Section 3 lists the Duties of persons having charge of animals, while Section 11 talks about Treating animals cruelly. Motorcycle taxis in India have been in existence since the 1980s. Founded in 1980, The Goa Motorcycle Taxi Riders Association (GMTRA) was set up to operate two-wheeler taxis in the state. The following year, the Government of Goa began issuing licences to riders, known as Pilots. They use Yellow-coloured motorcycles and have fixed rates. Pilots waiting to pick up passengers at a Motor Cycle Taxi Stand in Vasco da Gama, Goa. Image copyright AaronC, CC-BY-SA 2.0 Generic, available on the Wikimedia Commons/Flickr. In June 2015, a company called HeyTaxi started two-wheeler taxi services in Mumbai. Taxis could be booked using an app. A few months later, a Bangalore based startup called HeyBob began offering the same services. Here too, taxis were to be booked with an app. The Regional Transport Authority [RTA] in both states began preparing various guidelines and regulations for bike taxis. That is, until Maharashtra’s Transport Minister Diwakar Raote decided that “Such taxis are extremely unsafe and should not be allowed” and rejected the proposal of the RTA to permit them with a fixed colour-code and fare slab on the lines of existing autos and taxis in the city. Karnataka meanwhile said that the Transport Department could issue such permits, but the State Government would have to notify guidelines for their operations. In spite of this inanity, both HeyTaxi and HeyBob continue to operate today. Bike Taxi Stand at HUDA City Centre, Gurgaon. Image copyright Srikanth Ramakrishnan, CC-BY-SA 4.0 International, available on the Wikimedia Commons. In late 2015, two companies Baxi and m-Taxi started offering Bike Taxi services in Haryana’s commercial capital of Gurgaon. With inadequate public transit in Gurgaon, they were quite successful. Taxis can be booked using an app, or hailed from a taxi stand like the picture above. Both companies had the necessary permits from the Haryana government and were looking to expand services into neighbouring Delhi. Now, in a significant move that will boost the Motorcycle Taxi industry in India, Uber announced the launch of UberMoto, a move that was emulated by its local rival OlaCabs within hours as Ola Bikes. Both services are confined to Bengaluru as of now. Both have a minimum fare of ₹15, with Uber charging ₹3/km and Ola charging ₹2/km thereafter. Given the massive userbase that Ola and Uber enjoy, this is going to be a big advantage to the entire industry. The advantage Ola and Uber will enjoy is that existing customers merely have to update the app. However, existing service providers have experience in dealing with the industry and traffic, and as existing entities, can also slash prices to compete with the two giants. HeyTaxi also allows people to send shipments across Mumbai using its fleet. It remains to be seen how this will affect streets. Hopefully, it will help rationalise and streamline traffic, rather than mess things up more. We look forward to women driving Motorcycle taxis in India.